Fantastic capture!! 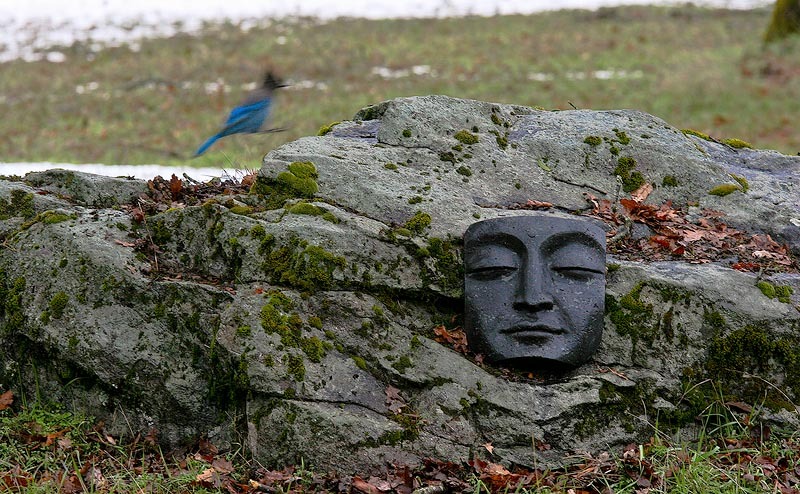 Love the blurr of the bird..and then - that - along with the stone mask..is wonderful!! !